Old and New Techniques Promise New Effects in Our Postmodern Textiles Journey! The first silk scarf experiments with artwork by Alison and Julie. 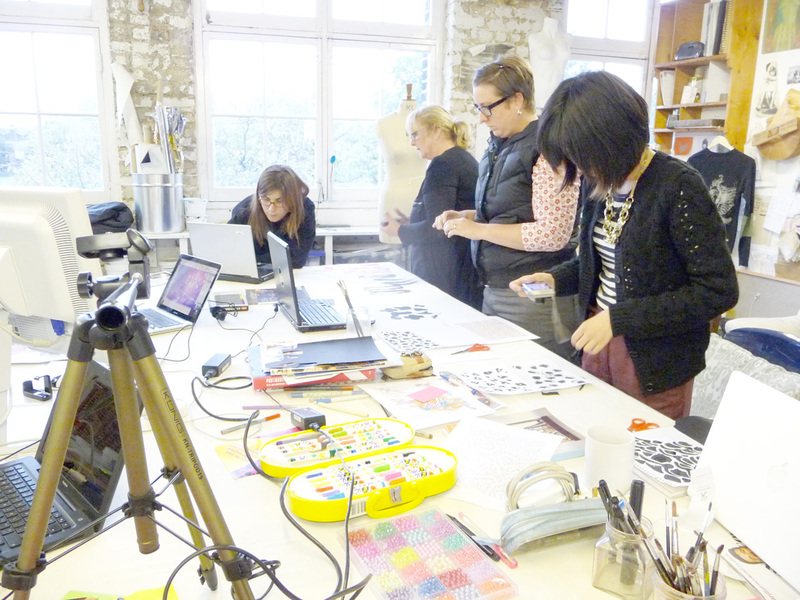 The first Slow Textiles workshop to set off our Postmodernist season started this weekend with a Memphis style bang! It was a digital affair that had everyone getting to grips with painting blobs for the slave that is Photoshop, not to mention participants becoming experts in the difference between modernism and po-mo! Our remote attendees will be able to access the webinar soon!! Laptops and paint in action! Previous articleUncategorizedHow Postmodern Are You?! Next articleUncategorizedWhat Business Model Are You Changing?